Home Tags Posts tagged with "Word"
“What’s Office 365?” asked a second grade teacher last week at a casual meeting. “My district is moving from what we have now to that.” The transition, of course, was from MS Exchange and web-based email to Office 365. For the school district, moving to Office 365 will result in much greater efficiency and functionality than they have ever enjoyed. But that means this large urban school district has a lot of professional learning to engage in. If you are a teacher in a district that is launching Office 365 in August, you have some time to get ready. Take these ten steps (five in this blog entry, five more in the sequel) to ensure you are successful in supporting blended learning opportunities that the new federal Every Student Succeeds Act (ESSA) requires. 1. Ask your administration for a MS Surface tablet or Windows 10 computer to use this summer. The Windows 10 operating system boasts many powerful features, among them access for educators to a free Office 365 account. That means you can start learning how to use Microsoft Classroom, OneNote 2016, and Class Notebook tools, which are easy ways to blend learning in your classroom. 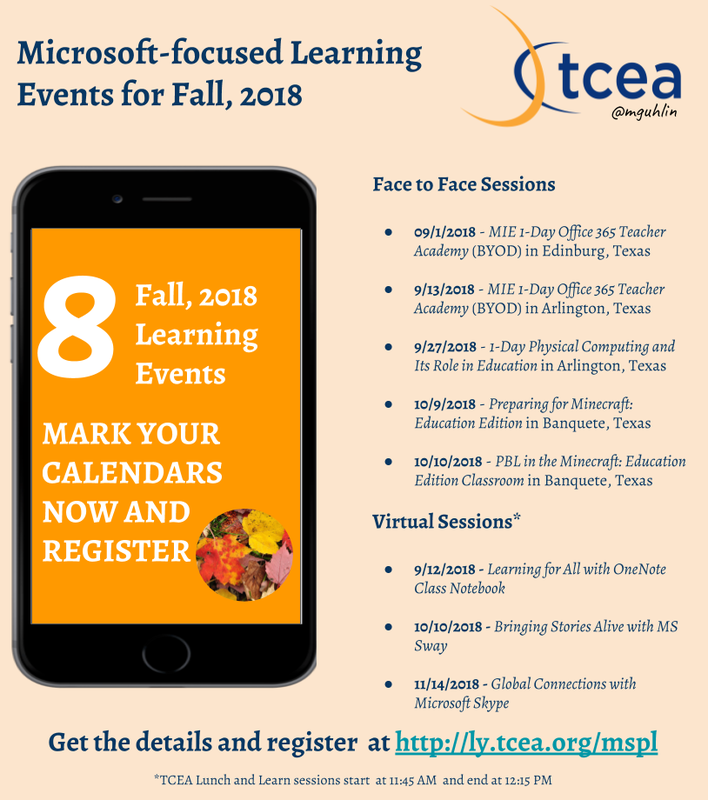 You can find a wealth of resources online, and, of course, TCEA is offering one-day Microsoft Innovative Educator (MIE) professional development sessions around the state of Texas at no charge. 2. Become a Microsoft Innovative Educator. 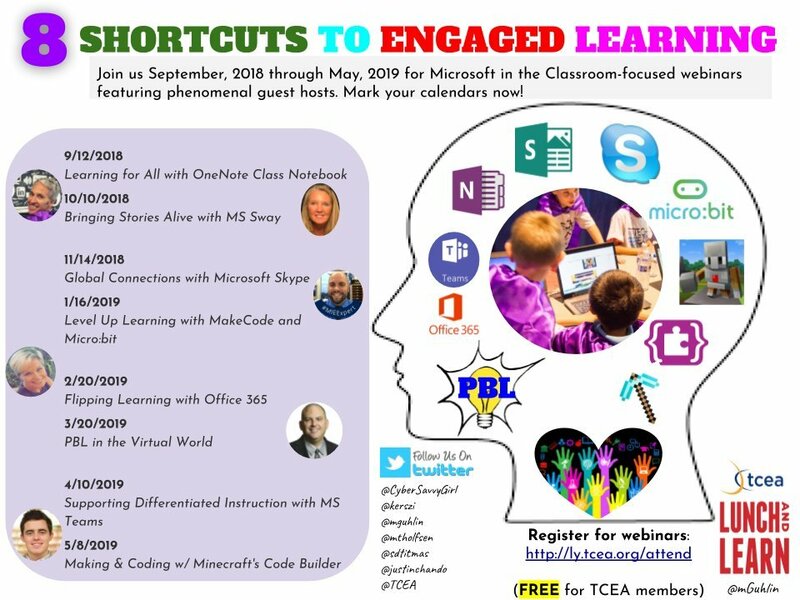 If you want to successfully use blended technology into classroom learning, the TCEA Microsoft Innovative Educator (MIE) training sets you up with the tools and skills you will need. This process (watch this overview video of how to become an MIE Expert) involves you getting a free Office 365 account, which comes with free copies of MS Office 365 Online and OneNote 2016 for Windows (OneNote works on all mobile devices as a program you install or via the web with OneNote Online). You will also get access to Microsoft Education, a website with free professional learning activities that are 100% online. Register for this free training today! Listen to this podcast by Jeffrey Bradbury (@TeacherCast). 3. Create a OneDrive and Docs.com account. When working with students and colleagues, you will need to be able to create and share content online. 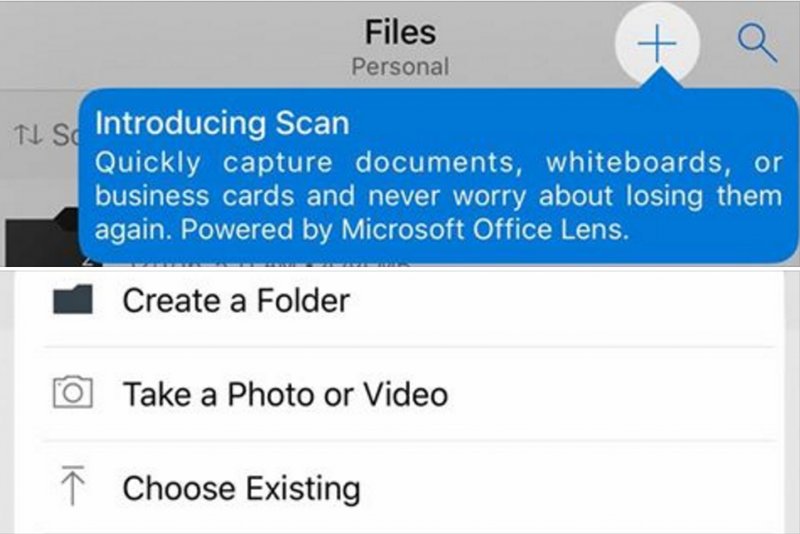 Office 365 grants you free access to Word Online, Powerpoint Online, and Excel Online, as well as OneNote Online and one terabyte of cloud storage in OneDrive. 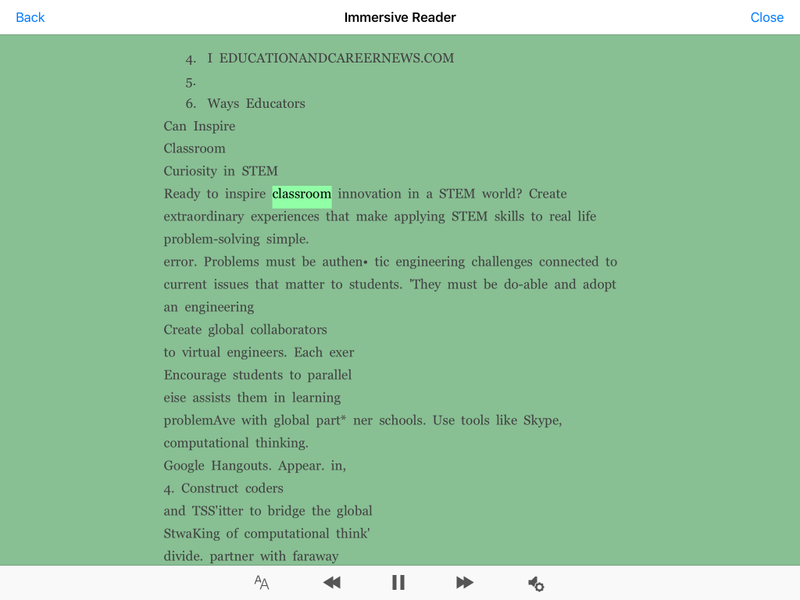 This enables you to share and collaborate with students and colleagues (e.g. teachers working on lesson plans). Once you have completed the MIE training, you will be able to easily interact with content online for creation and sharing. 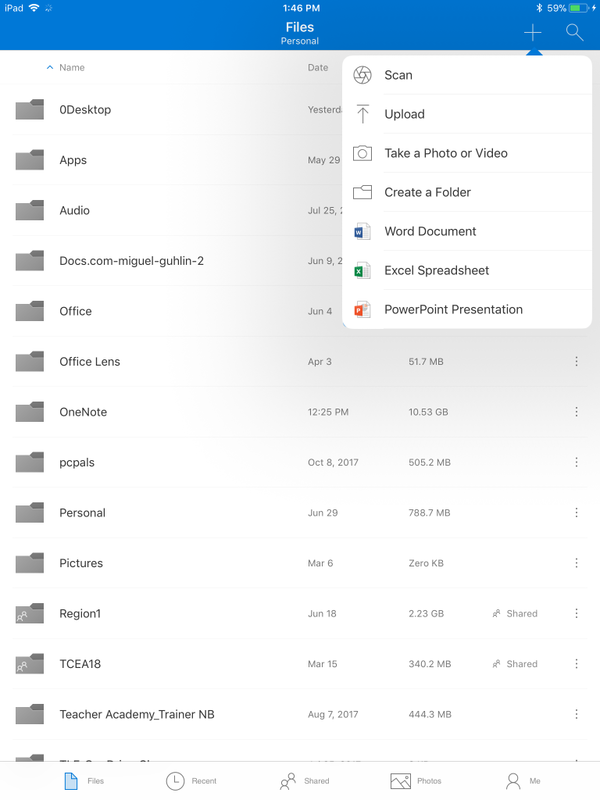 What’s more, with Docs.com, you can easily share documents (e.g. books, newsletters, presentations) you create (e.g. 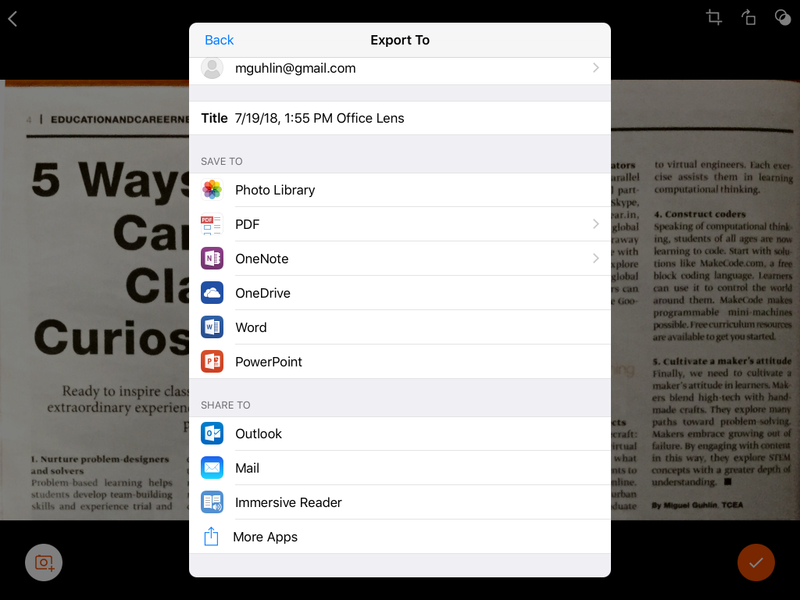 Word, Powerpoint, OneNote, Excel, Newsletters) with others. Listen to this podcast featuring Dr. Tom Grissom on using Docs.com (http://docs.com/mguhlin). 4. Get to know Microsoft Classroom. Need a quick overview of Microsoft Classroom? Watch this short video about how a school in Spain is using Microsoft Classroom. Then ask yourself how are you doing this in your classroom? As you can see, MS Classroom provides an actual environment where you can interact with your students online. 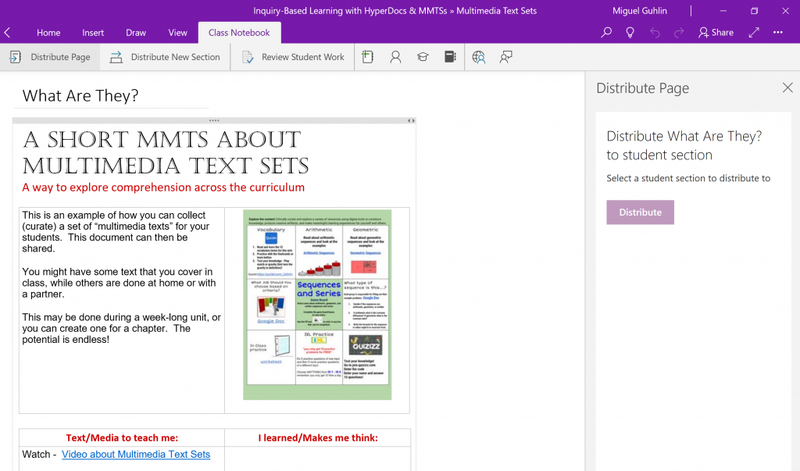 What’s more, through the use of tools like OneNote Class Notebook, you can create a Content Library to which you can add class learning resources. 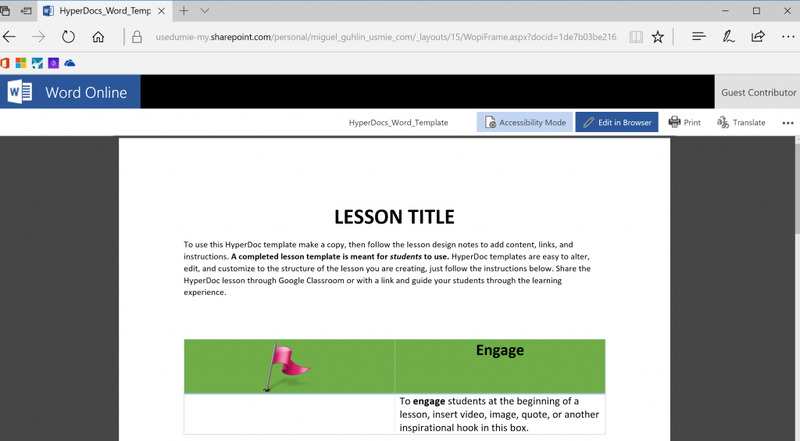 Students can then copy items from the Content Library to their OneNote notebook, where they can begin interacting with documents. Microsoft Classroom comes with a Class Notebook built-in, and you can see the main components of a Class Notebook in the image below. 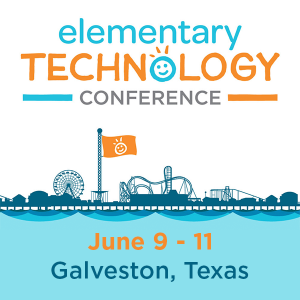 And, of course, follow @mguhlin on Twitter, as well as check out the TCEA Connect! 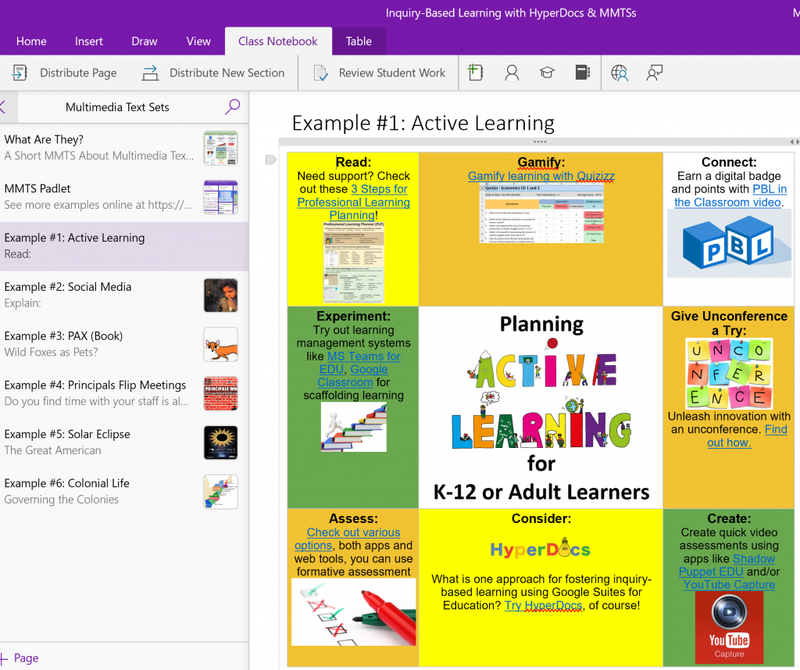 OneNote Online notebook where I share my learning experiences. You will also want to follow the #tceamie hashtag online. Be sure to come back to read the second part of this blog entry, sharing five more steps you can take!